For all you lovers of superfoods and healthy treats, this one’s for you. 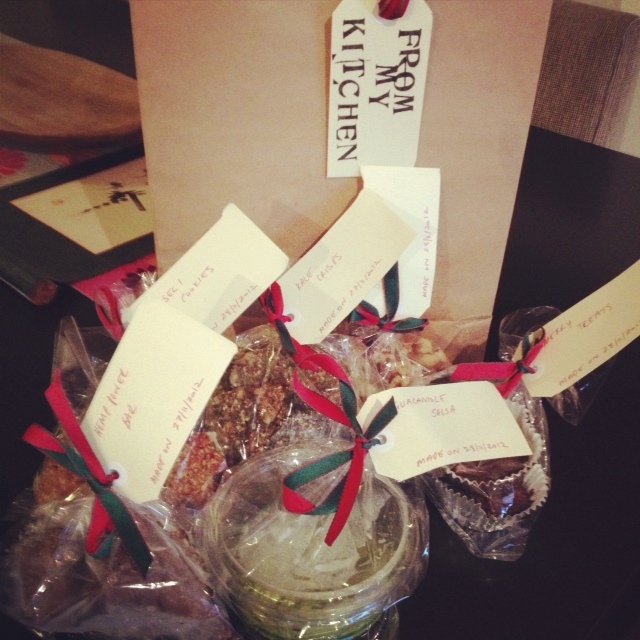 Yep, my favourite home-delivery service, From My Kitchen, is doing an adorable Festive Hamper to celebrate Christmas. An epic win if you’re hosting Christmas Day lunch and don’t have time to make everything from scratch, or the PERFECT gift for your foodie friends. I tried some of the new goodies yesterday and can tell you first hand that the guacamole will blow your mind. As will the Merry Treats (Rach’s version of rocky road) and the Muesli Cookies. Oh yes! Unfortunately this service is only available in Sydney right now, but as of the beginning of 2013, From My Kitchen will deliver all over Australia. Hooray! So, here’s the deal. There are five different types of treats to choose from and you can mix and match with the original menu and the festive menu (I highly recommend the guac and kale crisps). Once you decide on your goodies, you pick your size. – 5 Thick Slices of Carrot Fruit Loaf. As usual, all the From My Kitchen items are 100% organic, sugar free, gluten free and vegan. Oh, and SUPER tasty. For more info pop on over to From My Kitchen’s Facebook Page. Could this be on your Christmas Wishlist? 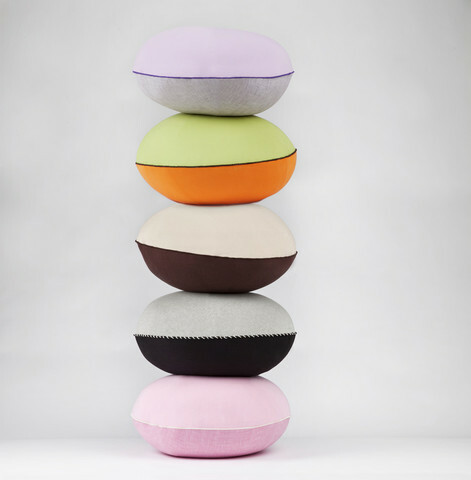 I’ve had the pleasure of sitting on one of these delightful cushions for a little under a year now and I can assure you they are worth every cent. No need to fidget and worry, slide off or wobble around, this little padded piece of heaven has got your back. Or bum, rather. They’re also made from recycled PET bottles, so you know, you’re doing your bit for the environment as well as your practice. My point? Put one of these bad boys on your Christmas wishlist immediately. I recommend the purple, it’s very chic. Stay tuned for more fun, festive treat ideas on The Happiness Cocktail over the coming weeks. For This I Give Thanks. Again. This time last year I was living in New York, fulfilling a lifelong dream and about to celebrate Thanksgiving with a group of people so amazing, you could never forget them. I was grateful for so many things, and while we don’t celebrate this tradition here in Australia, I think it’s a timely reminder to show appreciation for the positivity in your life and continue to reflect, grow, nurture and nourish your good fortunes. Reading back on my list from last year, I recognise that I am still grateful for many of the same things, realising since coming home that no matter where you are in the world your family, friends and relationship with yourself are the most important things in life. So, here goes another round of showing gratitude. Here’s my list, I’d love to hear yours too. 1. Once again he tops the list! I am grateful for my husband Alex, whose never-ending ability to teach me about the world, myself and looking at things from a completely new perspective continues to blow my mind. He definitely makes me a better person. 2. I am grateful for my health. This past year has seen me to take my passion for health one step further, nurturing my body and mind through food, yoga and meditation. On top of that, I’ve committed to studying to be a Health Coach so that I can learn and share and, hopefully, enhance other people’s lives as much as I have my own. 3. I am grateful to have a strong work/life balance. This hasn’t come easily, but they say the best things never do. I have worked hard to achieve my life and career goals, and now I’m letting the process roll out naturally. 4. I am grateful for my family and friends, who continually show their support in everything that I embark on and take my next BIG idea with as much enthusiasm as I do. 5. I am grateful for my imagination. I never stop dreaming. The bigger the better! I truly believe that if I create it in my mind I’ve created it in reality, reality might just take a little longer to catch up. But that’s OK, because I’m patient. 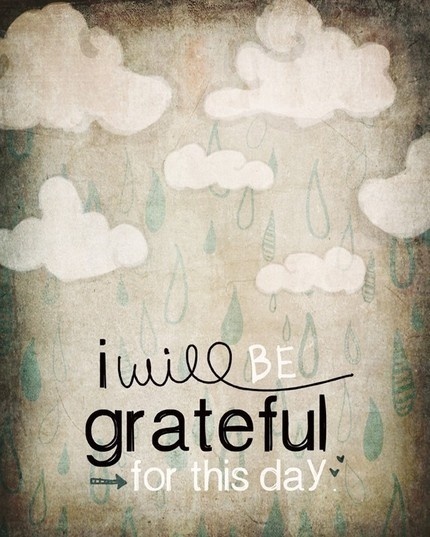 And for that, I am grateful, too. There’s nothing I love more than a healthy home-cooked meal. OK, that’s a lie. There’s plenty of things I love more, but in the spirit of this blog, let’s pretend it’s my most prized event. But sometimes life gets busy. Hectic. Exhausting even. And for a vast majority of people cooking’s a chore, so you know, they prefer to grab takeaway and spend the night doing things they actually enjoy. Cue in: ‘From My Kitchen’ – a delightful Sydney-based company that has literally burst onto the health food scene thanks to its young creator Rachel Gorney and her life transformation. After studying to become a makeup artist, Rachel decided that makeup wasn’t her true passion in life. Instead, she sought the skills of an IIN Health Coach (something I will soon be myself), who taught her fancy foodie words like kale, organic, chia, raw cacao and more. From that moment on, Rachel was in the kitchen whipping up healthy treats for herself and realised that this was, in fact, her life’s purpose. Now, it’s going nuts. Here’s why: “All the ingredients are 100% organic, using only the finest natural products and super foods available. All the recipes are sugar free, gluten free and vegan. 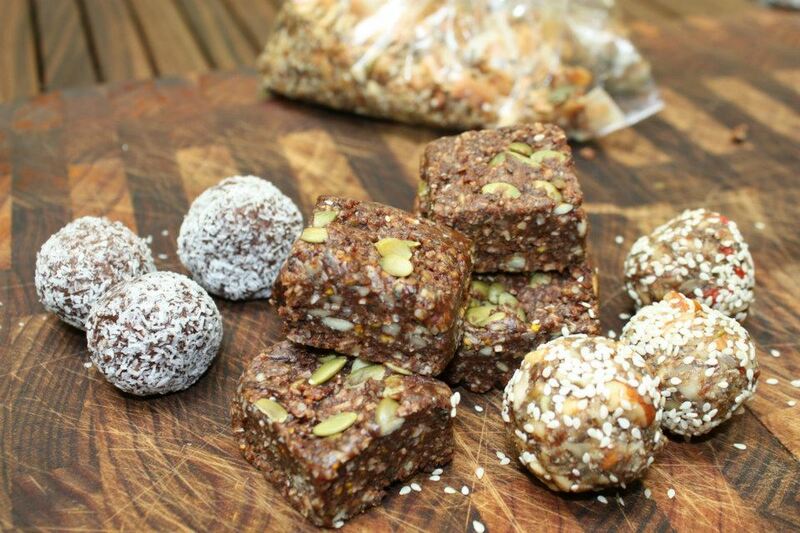 They are homemade, guilt free and of course 100% tasty,” Rach explains. Rachel was generous enough to drop a snack pack off to my front door, filled with incredibly tasty treats like kale crisps, hemp power bars, granola crunch, hummus, heaven balls and more. It was a playground of healthy snacks, so good that my husband and I whipped through its contents far too fast to ever admit to the masses. Let me just say you HAVE to try them out. 1.The ‘Trial Snack Pack’ contains five products; they are for first time customers only. They contain enough snacks for one person’s weekly supply. 2.The ‘Weekly Snack Pack’ contains six products of your choice, enough to keep you going throughout your busy week. They contain enough for two people for a weeks supply or can last for up to two weeks worth of snacks. 3. 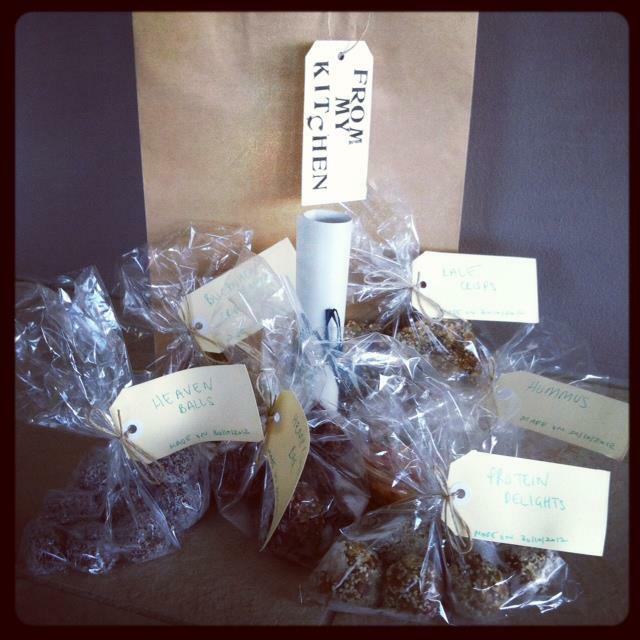 The ‘Travel Pack’ contains four products of your choice with added herbal teas and vital greens to make flying a treat. As I mentioned, the company is only a few months old so Rachel is still in the process of setting up her website. Plus, word is spreading fast so her days are mostly spent fulfilling orders (she’s catering for Vogue Australia event today after they spotted it on my Instagram) so you’ll have to email her for a menu and pricing options. Or, simply look her up on Facebook where you can get her contact details and see her latest creations. My advice? Get in quick! Have you heard of From My Kitchen? Are you lazy in the kitchen? Do you wish someone would deliver healthy snacks to your door? While almond oil might originate in the Middle East, you can thank the Greeks and Italians for really bringing this liquid gold to fruition. They’ve been using it for centuries, harnessing its ultra-hydrating properties and popping it on their skin and hair. Now, it’s our turn. Oils are fast becoming beauty’s golden children, with companies cashing in on the benefits of oils like argan, olive, marula, jojoba, avocado and, of course our little friend, sweet almond (as opposed to its toxic cousin, bitter almond). But what makes almond oil so versatile? Well, it’s the ideal ‘glow from the inside out’ ingredient, helping your insides flourish with goodness thanks to its promising mix of vitamins, antioxidants and essential fatty acids. Rich in Vitamin A (as well as B and E), almond oil helps moisturise your skin from the inside out, as well as neutralise ageing free radicals. From the outside, it does everything from create shiny hair to lock hydration into dry skin. 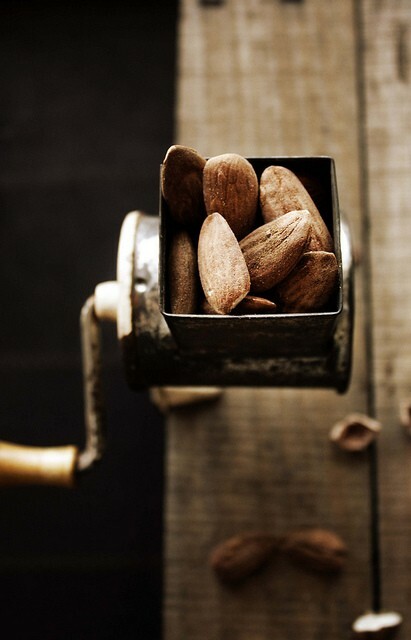 High in essential fatty acids, vitamin A, B and C and antioxidants, almond oil gives your insides a gentle clean. Try to use it raw as much as possible as its smoking point is low, and if you suffer from constipation, follow Deepak Chopra’s advice and take a teaspoon of raw almond oil every morning for a month to, erm, loosen things up. Almond oil is a natural way to get some nourishment into your locks. Not only does it soften the hair shaft, but it also promotes shine and minimises hair loss as well. Massage it from roots to tips, cover with a shower cap and leave for 20-30 minutes before rinsing out. It also makes a great carrier oil for aromatherapy, so don’t be afraid to add some essential oils like sandalwood in there, too. With its supernatural powder to hydrate and cleanse your skin (thanks to the presence of oleic acid), rub a couple of drops onto your problem areas to help soothe, clean and hydrate. If you are a rosehip oil fan, you might also like to know that almond oil is actually more stable due to its high levels of omega-9. Fascinating! By now you should know that almond oil is deeply nourishing. Basically, your skin loves the stuff. Always look for cold-pressed pure oil that is organic to eliminate any chemical processes that could aggravate your complexion. Once you’ve found your oil of choice, apply it to damp skin the second you leap out of the shower. Do you like almond oil? Do you want to incorporate it into your regimen?